For those who aren’t aware, PNCamp is a bootcamp event for early stage SaaS startups. We were lucky enough to get invited to the event in Pune on Oct 8. The event, like earlier SaaSx event in Chennai, is a no-nonsense event for founders and product folks. The day-long event had two tracks: one for B2B startups and one for B2C startups. We, at Fyle, were part of the B2B track. 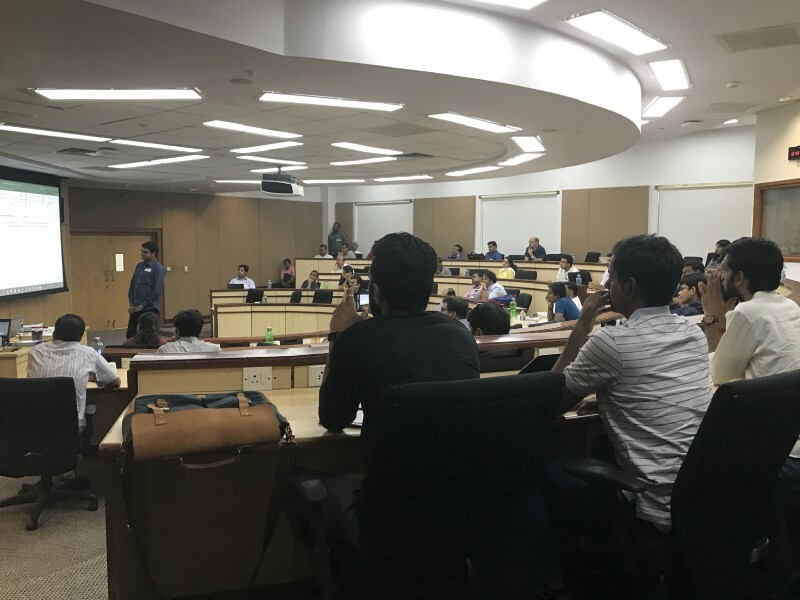 The B2B track consisted of a mix of talks by accomplished folks — Suresh of Kissflow, Krish of ChargeBee and Ankit of AdPushup covering fun anecdotes, practical suggestions and cautionary tales. Here are a couple of interesting ones (more on my twitter). @sureshsambandam we said no to a lot of things early on. Overall, the event was refreshing in the level of candor — founders were openly discussing problems with focus, hiring and customer acquisition and tips and suggestions were extremely practical in nature. It was part-educational and part-therapeutic for me and I highly recommend it for early stage startups. This is a boot camp for product people, by product people. It is a day-long coming together of doers: ones who have been there, done that; and ones in the journey of getting there. Orchestrated by hand-picked facilitators, it promises focused, interactive, deep conversations within small, curated groups. PNcamp is a surefire avenue to find inspiration, insights and tips, and connections for life to tangibly get ahead in your product journey. The volunteer team here at PNCamp are excited to share their list of candidates for the live Product Teardown Session. These companies have been selected to have their products analysed by our expert panel of in minute detail over a 2 hour long session. We expect that the feedback that they’ll get to take back from the session will be relevant and valuable in improving their product’s readiness. Sriram, Blue Sky Agriculture – Reimagining the supply chain for fruits and vegetables. Vinay, FinitePaths – Get answers for your questions from people you can trust. 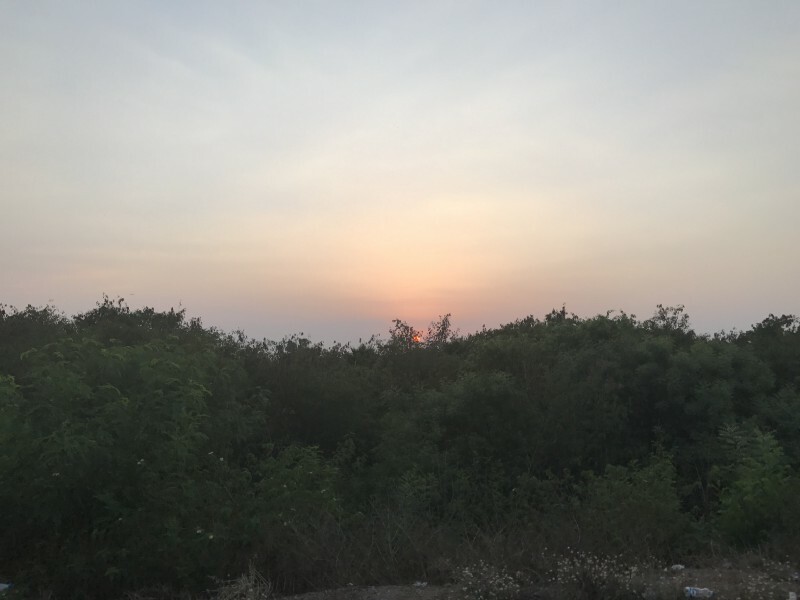 Dushyant, PodPitara – Discover curated podcasts. Rohan, Garagehub – One stop for all your vehicle related problems. Ajmal, Spenwise.com – Wise spending for a smart generation. Murukesh, Codeflow.co – a programming platform that lets you build scalable cloud applications by simply composing reusable components. Ashish Sharma, Phynart – building the future in the field of Home Automation. Rohit, Koove.com – Discover exclusive products. As you can imagine, it wasn’t easy for the curation team to go over the details of each company and pick out the right ones. If you haven’t been selected, or would still like to apply for a slot – do get in touch with us through pncamp.in. To learn more about the format for the Product Teardown Session here. Look forward to having you! Guest Post by Santosh Dawara, DeAzzle & Volunteer for PNcamp. On Independence Day, we at Product Nation have an important announcement to make. This one was a long time coming, as we tried to classify, clear up, and target our efforts for the product ecosystem better. This update is mainly focused on the Playbook pillar, one of iSPIRT’s key initiatives, and will have effects on other fronts as well. We are reviving some of the initiatives; to others we have added more rigour and form. Depending on what stage(Discovery, Happy Confused) you are in as a founder you can leverage the iSPIRT programs accordingly. We now have a mailing list we call the PNFT (Product Nation Founders Tribe), where we will update subscribers on the Playbook and other iSPIRT initiatives. If you are not part of iSPIRT, but still want to receive our updates, please fill up the form. This won’t make you a part of iSPIRT, though, and we reserve the right to extend invitations for smaller, more pointed events only to our members. Our programs like the RoundTables, PNcamp, and PNgrowth, are oversubscribed to, and therefore we extend invites only to curated startups. Why on Independence Day, though? One, for purely sentimental reasons: our mission, after all is to make India a Product Nation. And two, we’d like to say that will better clarity, entrepreneurs now will have the freedom to choose which iSPIRT programs they want to be part of. This is a boot camp aimed at folks planning a startup or who are in the early stages of their startup. It is based on a ‘by entrepreneur-for entrepreneur’ model and on the effectuation model put forth by Professor Saras Saraswathi. This is a 10-week exercise/task oriented course designed at gaining clarity and action. The participants do most of the work during the week and review happens at a 2-hour meet every weekend. Once they graduate, the community continues to meet to help each other through the journeys. This is a boot camp for product people, by product people. It is a day-long coming together of doers: ones who have been there, done that; and ones in the journey of getting there. Orchestrated by hand-picked facilitators, it promises focused, interactive, deep conversations within small, curated groups. PNcamp is a surefire avenue to find inspiration, insights and tips, and connections for life to tangibly get ahead in your product journey. The 2nd edition of PNcamp is in Pune on 8th October. More details can be seen here. Playbook-RoundTable is one of iSPIRT’s most sought after community events. It’s a gathering of 12 like-minded product startups who are beyond the early stage. RoundTables are facilitated by an iSPIRT maven who is an accomplished practitioner of that particular theme. All RoundTables are conducted on a pay-it-forward basis. The only payment you have to make is to provide your undivided attention and active involvement in the process. Playbook-RoundTables are a dialogue and there’s no monologue. None. #PNgrowth camp is a long term mentorship/peer learning program that is focussed and has only one one aim – category leadership. The second edition is being planned for 25-27th November and only 50 founders will get to be part of it. The theme for this year’s PNgrowth is “Achieving Good Scale”. We will be curating around 50 startups for PNgrowth this year. We have around 14 mentors who will be working with 50 curated startups for the next 12 months. A group of six founders whose startups are already making over $25 million in annual revenues, and are hungry to learn from peers about challenges unique to their life stage: namely, hiring sales professionals for tapping global markets and avoiding the mistakes that others have made. This group meets once in a quarter and is a closed group. SaaSx brings together best-in-breed SaaS entrepreneurs across India to celebrate, inspire & spark up the spirit of start-up ecosystem. It’s an exclusive invite-only bootcamp, created by SaaS entrepreneurs for SaaS entrepreneurs, as an opportunity to network, learn, and engage with the most passionate individuals in India’s startup ecosystem. We have done three editions and the next one is scheduled in the month of October. We have an active blog where there is lot of information for Founders. Lots of learnings from PlaybookRTs have been captured here. The key mavens who drive some of the Playbook Initiatives at iSPIRT are. Amal Tiwari helped in designing the infographic & Sairam Krishnan assisted in editing this blog post. In case you are one of those who did not make it to the iSPIRT PNCamp for Product Entrepreneurs at Pune on December 4 and 5, 2013, here’s an overview of what happened during the two-day event. Over 128 delegates took part in the camp that brought together entrepreneurs, developers and experts under a common platform for learning and sharing of ideas and experiences. Participants came from Mumbai, Bangalore, Chennai, Hyderabad and Delhi, including distant places like Kochi. 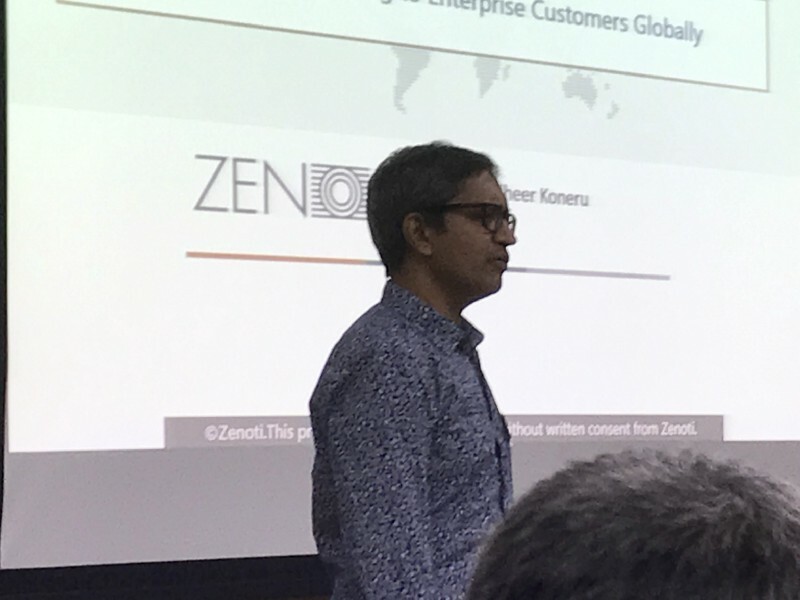 Pune was a strategic venue as the city has about 400 startups who are contributing to the positive evolvement of software product eco-system in India. As is usually the case with such strategic events, PNCamp provided the right opportunity to network with peers and talk to iSPIRT mentors that included icons like Pallav Nadhani, CEO, FusionCharts; Sharad Sharma, co-Founder, iSPIRT; Shashank ND, CEO of Practo, among others. Day one of the event focused on Discovery Hacking for the early startups with initial traction. The experiential learning was aimed at taking the product entrepreneur on his forward march starting from its original plan to making the first successful sale. Day two was more intense with discussions revolving on the difficulties getting the first few customers, validating the need for the product in the market, generating the first rupee (or dollar!) in revenue and how to grow the startup from a buzz in the head to a live organism. There were numerous sessions that focused on what it takes to be a successful startup firm. In particular, entrepreneurs got deep insight into how to make the first crucial sale or pick the right timing of stepping up the gas to get on the fast track with your startup. If you missed this one, we hope to see you next time around! Product warriors, pick your battles! 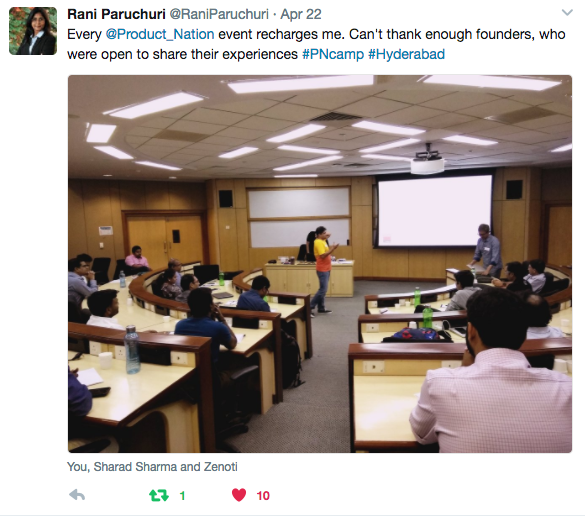 The first question that I asked iSPIRT volunteers running PNCamp, the first ever bootcamp exclusively focused on product entrepreneurs in India, was why Pune? They pointed to Dilip Ittyera whose greying strands of hair masks his passion to firmly perch Pune on the product map of India. 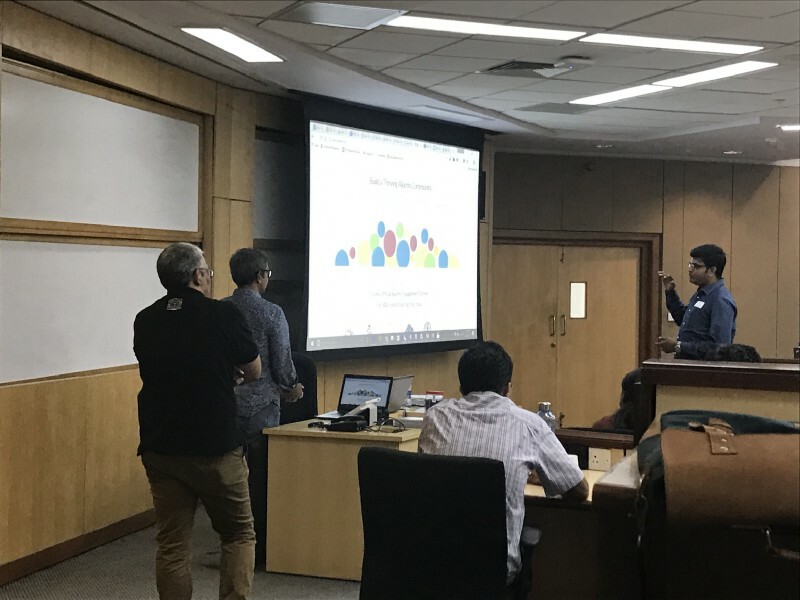 Later during many conversations, it became evident why Pune was the destination for the “product mafia” (term courtesy Pallav Nadhani) for an extended Playbook roundtable format bootcamp, the PN Camp, for a couple of days. In its subtlety, Pune hides its product quotient. There have been global success stories from this quiet city that really doesn’t hit you on your face: QuickHeal, Druva, Pubmatic and let’s hope counting. Pallav infused energy in his intro to the camp that would make you say “let’s make it happen” with a pumped fist. The very essence of this bootcamp was to enable lifelong bonds between entrepreneurs so that they can learn from each other’s mistakes. For entrepreneurs operating with limited resources and entrapped in a lonely journey, the peer group lending a hand makes it even more exciting. Another unique aspect of the camp was “cohorting” applicants for maximum impact. Only one out of every two applicants was accepted and then divided into cohorts matching the state in which they are in their entrepreneurial journey. The first day was for entrepreneurs just starting out to “discover” (discovery hack) the way to do it and second day was for “happy confused group” (scale hack) where the entrepreneur has figured out the product, has found a few customers and struck there, without a clue on how to take it forward. As each cohort groups were ushered into their respective sessions, intense discussions ensued. The camp organizers had made it clear that the sessions wouldn’t be gyan but experiential discussions. A successful entrepreneur had a presentation and the questions he raised were basically discussed by the 15 to 17 entrepreneurs in each group for over three hours. The successful product entrepreneur’s success becomes a playbook for success-aspiring entrepreneurs to follow and reach heights. Do you have a compelling story around your startup? Is your product really different? Does your product really solve a problem? Story: If you are unable to build a compelling story around your idea and the startup, you will be less motivated to continue. So just ask yourself if the problem you are solving or your idea will keep you going for x number of years. Then build a story around the idea so that anytime you are asked why you started up, you can tell the story, which will be appealing. It’s another matter that the story will get refined over time like the events in history getting different perspectives at different points of time in future. 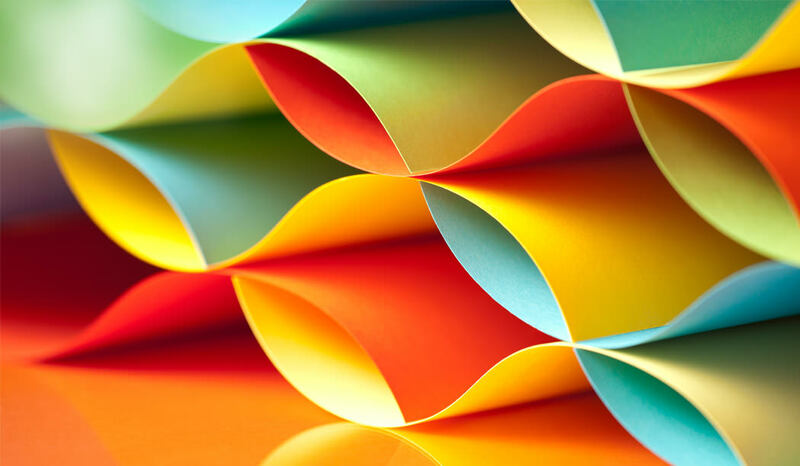 Differentiators: How different is your product? It would be great to create an entry barrier for a competitor to replicate your model. Here Kunal Shah of Free Charge provided an apt explanation. Create something that will become a habit for someone to use. For example, although G+ has better features than Facebook, users don’t switch because they are used to Facebook. Only when another innovation happens that changes this habit, it would be Facebook all the way. You should think of ways to appeal to the users by making a difference in the way the product serves the user that he wants to come back and use it over and over again. Sometimes customers can become your salespeople that they recommend your product to their friends and people in the network. Excitement: Taking a cue from Practo’s experience, Shashank said that among the specialists, dentists were high in number. So dentists were first targeted for PractoRay, a Practo software used by the doctor to schedule appointments with patients and keep their medical records. This proved successful as more users felt excited to find dentists in their neighbourhood. Customers will buy if they find the product useful and not make a fuss over price. Solving a problem: You should build features in your product that are must-have and not nice to have. Then you should ask if your customers will pay for those must-have features. Unless you are solving a real problem, customers will not pay. Usually, the problem you are solving is the problem you faced yourself. Shashank got the spark of an idea on a platform like Practo after experiencing difficulty in mailing his father’s medical records to an expert in the United States. Then he studied what ails the system and built Practo to address each one of the issues he observed such as waiting times for patients (Practo helps you schedule appointments), non-digital medical records (information can be stored using Practo’s software), storing them and sending them (possible in the Practo platform). It’s not often I find myself in a roomful of people driven by a shared vision. Inspiration was inevitably seeping in. It took me not more than a couple of minutes to realise that I should count myself lucky as I was in the same room as the bravehearts who were changing the world one product at a time. 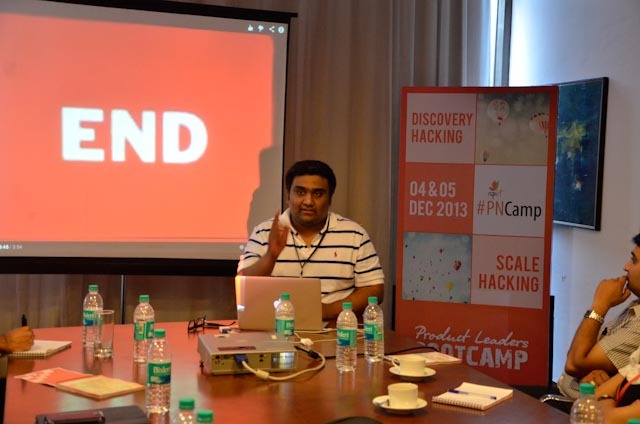 The inaugural ProductNation Camp at Pune was a movement taking shape. More than 120 startups were brought together in the most unique of formats resulting in 2 days of high-quality discussions, learnings and mindshare. The message behind the format was loud and clear. “No sage on stage”. Entrepreneurs never learn based on a pre-defined syllabi structure. They love to disrupt, destroy and re-build. The 2 days were filled with gems of knowledge, actionable insights and conversations from the heart. Pick your battle and fight it out: A product can’t solve all the problems of the world. Shashank ND, Co-founder at Practo emphasised the fact that a startup needs to focus on a single problem to solve first and fight it out in the market with that one product. This approach ensures a laser sharp focus and allows for the best of resources to be spent towards creating value for the customer. Tell your own story, avoid drawing an analogy: I heard few founders introduce themselves saying “I run a startup ____ which is like ____ but with ____. Think of it as Dropbox meets YouTube meets Facebook.” Such a narrow vision or outlook of one’s own product has huge ramifications in the way people react. Not the best way to build trust and confidence. Write your own story, be proud of it and build on it. Build an experience, delight the user: The most successful of web products have delightful and simple design at their centre. Harshit Desai insisted that designer(s) and developers should work closely in a team to build the product. Have an inclusive design, avoid focussing too narrowly on a set user profile. Being shameless is truly being human: Entrepreneurs are not a differentiated human race. They are brought up in the same systems, and often many of them carry the “What will others think” baggage. “Self-doubt and fear of failure take many down”, said Kunal, Founder at Freecharge.in. Being true to your product and your vision is about losing the baggage and being ‘shameless’. Perhaps a sales attitude often overlooked. An engaging story comes before a good copy: “Good storytellers, writers are born, not trained”, said Girish, Founder at Freshdesk. Experience counts for little if you are looking to create content as a marketing strategy. Don’t just talk about your product, share your ideas, opinions and learnings with a broader context. With content, be there out-to-educate, not out-sell. Technologists are great sellers by-the-way: Ashish Gupta, Senior MD at Helion Ventures is a technologist to the core and he took upon himself to convince us that selling is a challenge and not a handicap. Look around… Bill Gates, Jeff Bezos, Steve Jobs! Something common? – all techies who rose up to the challenge of selling products (isn’t it about that at the end of the day?). If I can speak up for many like me, we couldn’t believe that we were in a room of like-minded individuals who shared similar challenges, had fought through and risen up with their head held high. I guess that was the vision behind the format. These startups are sure to change the world in their own little/big ways. As the camp drew to its inevitable close, I was invigorated by the inherited treasure house of learnings, experiences and friendships. The team behind the initiative should be proud and I hope the movement only gets stronger by the day. Guest Post by Tejaswi Raghurama who is helping build Entrepreneur Academy at the National Entrepreneurship Network. This is just the beginning …..picture to abhi baki hai dost. For every successful movie one requires a huge team effort from the story writer, producer, actors and directors to the light guys, similarly for a startup to benefit one requires the vision, passion, team work, the agility to implement and mentors. This is what the delegate exactly gets at the #PNCamp, where startups work in cohorts, learn from one another, share their insights and break barriers. Depending on your stage of company – Discovery or Scale you go through a grueling camp supervised by your Drill Sergeant, by the end, the cohort together achieves what they thought was not possible. So are you ready to see what you can accomplish, challenge the limits of your thought…then come on over in the 4th set at the #PNCAMP.